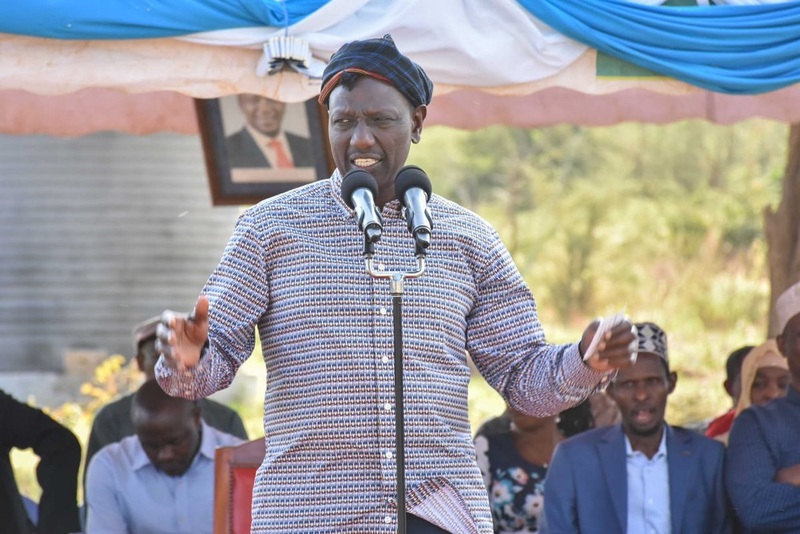 Sunday September 2, 2018 - Deputy President William Ruto has warned Kalenjin leaders against making remarks that may derail the ongoing fight against corruption. A number of Kalenjin leaders led by Kapseret MP, Oscar Sudi, have been bad mouthing Uhuru’s fight claiming the war is targeting Kalenjin community leaders and professionals. But speaking in Maralal on Saturday during the official opening of the 29th edition of the Maralal International Camel Derby, 2018, Ruto said the war on graft is not targeting a community but individuals who have been stealing public money without mercy. He said the ongoing crackdown is a national endeavour to eliminate wastage of public resources. “Everybody will be given a fair hearing and a fair treatment." Ruto asked leaders to support the Government in the war against the vice. “We need your support to eliminate this devil called corruption,” the DP said.